Fig 1.- Reconstruction of Cetiosaurus oxoniensis. Sauropods, the long-necked, long-tailed giant herbivorous dinosaurs, are better known in popular imagination by their North American representatives, Diplodocus and Brachiosaurus. Sauropods are divided into a number of families and groups that can be distinguished from details of their skeletal anatomy and teeth. Among the most primitive families, the Melanosaurids were only recently (Yates, 2007) recognized as early sauropods instead of being placed within more basal sauropodomorphs. Cetiosaurids are an ill-defined group of primitive sauropods built around the British Cetiosaurus and perhaps including other members such as the Chinese club-tailed Shunosaurus. The Turiasaurs form a recently erected clad (Royo-Torres et al., 2006) of gigantic sauropods so far restricted to southernwestern Europe. The Diplodocoids regroup three distinct families, the highly specialized rebbachisaurids, the relatively short-necked, tall-spined dicraeosaurids and the long and slender diplodocids. The Macronarians are characterized by their erect neck posture and comparatively large nasal opening (nostrils) on their head. They are subdivided into the camarasaurids (primitive macronarians), brachiosaurids and titanosaurs, the last two families including the largest and heaviest creatures that ever walked the earth. We already met in a previous post, Camelotia borealis from the Westbury Formation of Late Triassic Rhaetian age, which was possibly an early sauropod, unless it is a large representative of something more basal. The first definite British sauropod remain comes from the Middle Jurassic Aalenian stage (~175 MYA). It consists of a partial left pubis and ischium (BMNH R9472) of the Northampton Sands Formation, from Harleston, Northamptonshire (Reid, 1984). 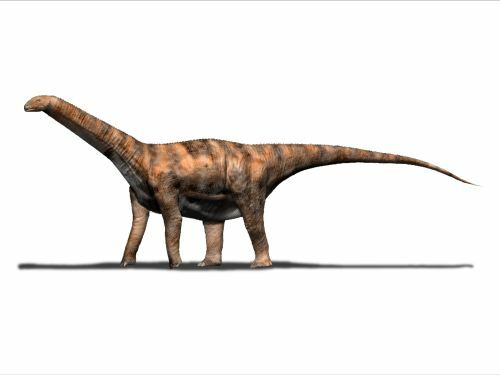 This unnamed taxon was possibly a brachiosaurid or a titanosaur making it either way the earliest recorded macronarian in the world. Fig 2.- Britain has some remains belonging to the earliest known macronarian. Next come large collection of bones from the Forest Marble Formation of Bathonian age (~165 MYA). The most famous fossil of this formation is the primitive sauropod Cetiosaurus (“whale lizard”). Cetiosaurus is one of the earliest dinosaurs to receive a name and, as it happened to many genera described in the early days of paleontology, it became a so-called wastebasket taxon, with up to 13 species described in the British Isles alone, ranging temporally from the Middle Jurassic to the Early Cretaceous. In a general revision of the genus, Upchurch and Martin (2003) finally recognized the only Cetiosaurus oxoniensis Phillips, 1871 from the Forest Marble as a valid species. Cetiosaurus is known from various postcranial elements coming from different places in Oxfordshire (OUM J13605-13613, 13615-13616, 13619-13688, 13899), Northamptonshire and Gloucestershire. A partial skeleton from the slightly older Bajocian (~ 170 MYA) Rutland Formation of Rutland (LCM G468.1968) is also being assigned to C. oxoniensis, as well as a partial braincase (OUM J13596) and a tooth (OUM J13597) found at the same location than the Oxfordshire Blechington specimen. This large, perhaps 20 meters long sauropod exhibits a number of primitive features in the structure of their vertebrae. 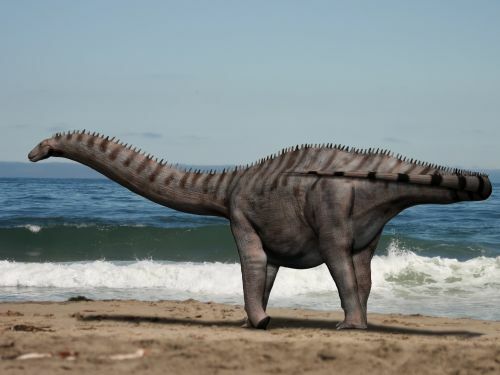 Due to the fragmentary nature of the remains, many aspects of this animal, such as the skull, are almost totally unknown, despite it being the best-known sauropod of Great Britain. Cetiosaurus medius Owen, 1842 known from 11 caudal centra (OUM J13693–13703) and other various bits found in Oxfordshire, Gloucestershire, Buckinghamshire, is non-diagnostic. 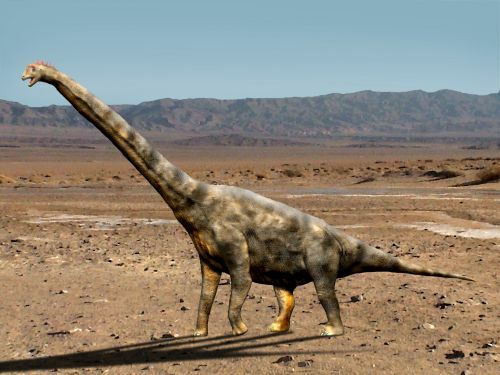 Since C. medius is generally considered as the type species of Cetiosaurus, its invalidation would render the naming of C. oxoniensis problematic. A petition has therefore been filed to ICZN to make C. oxoniensis the new type species for the genus. Cardiodon rugulosus described by Owen in 1844, out of a single, now lost, tooth unearthed near Bradford-on-Avon, Wiltshire, may be the same animal than Cetiosaurus, but it was also been proposed to be a Turiasaur. Two other distinct taxa are known from the Forest Marble Formation: one is ‘Cetiosaurus’ glymptonensis Phillips, 1871 (= Cetiosauriscus glymptonensis (Phillips, 1871) McIntosh, 1990) described from a series of 9 caudal vertebrae (OUM J13750-13758) found in Glympton, Oxfordshire. It was possibly a diplodocoid, making it the earliest known member of this group in the world. However, due to the lack of unique characters, C. glymptonensis is generally considered to be a nomen dubium (Barrett et al., 2003). The as dubious Bothriospondylus robustus Owen, 1875 = Marmarospondylus robustus) from Bradford-on-Avon, Wiltshire, is known from a single dorsal vertebra (BMNH R22428) and might be a macronarian. Another possible macronarian has been described from the similar age Kilmaluag Formation (late Bathonian) of Strathaird, Isle of Skye, Western Scotland: it is a tooth (NMS G 2004.31.1), one of the very rare dinosaurian remains found in Scotland. This fossil is distinctly different from both Cetiosaurus and Cardiodon (Barrett, 2006). From the Lower Callovian age (~163 MYA) Kellaways formation, comes ‘Ornithopsis’ leedsi Hulke, 1887, known from vertebrae, ribs and pelvic fragments (BMNH R1984-1988), found near Peterborough, Cambridgeshire. This was probably a Brachiosaurid. The name Ornithopsis originally refers to the undeterminate O. hulkei from the Early Cretaceous (see part II), which would mean that O. leedsi probably requires a new generic name. Fig 3.- other remains from britain are from the earliest known diplodocoid. In the overlying Oxford Clay Formation (Middle Callovian – Early Oxfordian age, ~161 MYA), other materials from Peterborough, including a series of vertebrae (BMNH R.3078) were confusingly also referred to ‘Ornithopsis’ leedsi by Woodward in 1905. But Charig concluded in 1980 that the bones belong to a quite different animal, a diplodocid, and give them the name ‘Cetiosauriscus’ stewarti. From the Kimmeridge Clay Formation of Kimmeridgian age (~153 MYA), comes Duriatitan humerocristatus (Lydekker, 1888) (Initially named 'Cetiosaurus' humerocristatus) based on a gracile left humerous (BMNH R44635) from Weymouth, Dorset (Hulke, 1874). It was determined to belong to a Titanosauriform (Barrett et al., 2010). The dubious ‘Ornithopsis’ manseli (Lydekker, 1888) (= ‘Ischysaurus’ manseli ), based on a partial humerus ((BMNH 41626), also from Dorset, may belong to the same animal. The same can be said of Bothriospondylus suffosus Owen, 1875 from Wiltshire, known from dorsal and sacral vertebrae (BMNH R44592-5: 4). Some non-diagnostic vertebrae, limb elements and dermal scutes found near Stretham, Cambridgeshire (BMNH 32498-99) were described as Gigantosaurus megalonyx Seeley, 1869 and belong to a sauropod of some sort. Also from the Kimmeridgian, ‘Cetiosaurus’ longus Owen, 1842 based on a single dorsal and caudal centra (OUM J13617) from the Portland Stone Formation at Garsington, Oxfordshire, is an indeterminate sauropod. J. Phillips. 1871. Geology of Oxford and the Valley of the Thames. Clarendon Press, Oxford 1-523. P. M. Upchurch and J. Martin. 2003. The anatomy and taxonomy of Cetiosaurus (Saurischia, Sauropoda) from the Middle Jurassic of England. Journal of Vertebrate Paleontology 23(1):208-231.